Environmentalists worldwide are celebrating Earth Day on Monday with events highlighting the effects of climate change and ways to protect the environment. 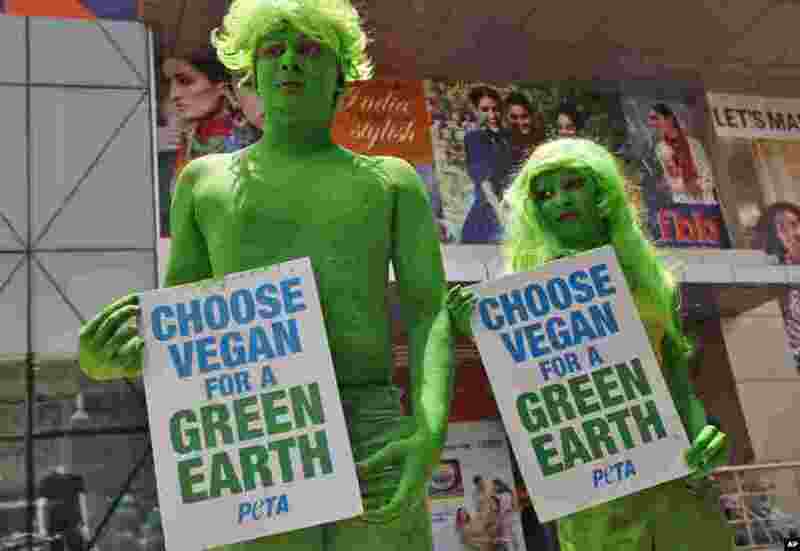 1 Indian activists of the People for the Ethical Treatment of Animals (PETA) with bodies painted in green hold placards during a vegetarianism campaign in Hyderabad, India, April 22, 2013. 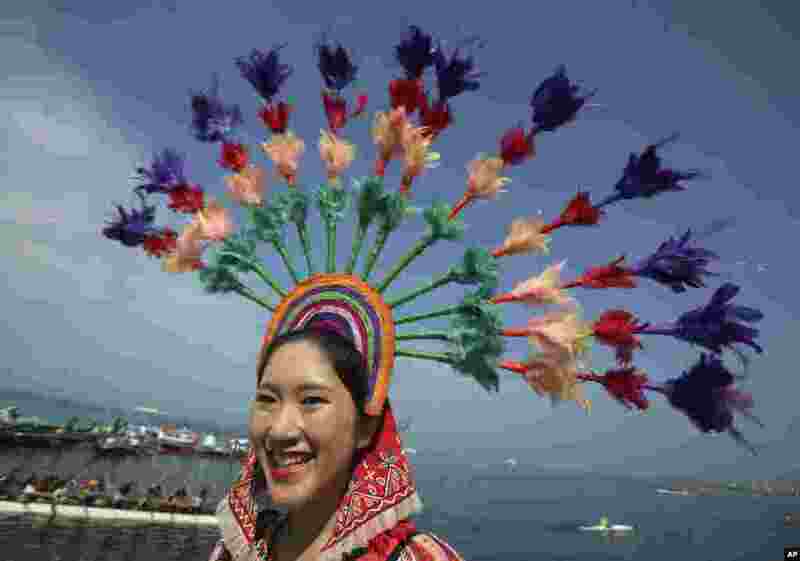 2 A girl in traditional headwear joins a protest against plans by a private developer for a reclamation project along Manila's Bay, as they celebrate Earth Day on April 21, 2013, in the Philippines. 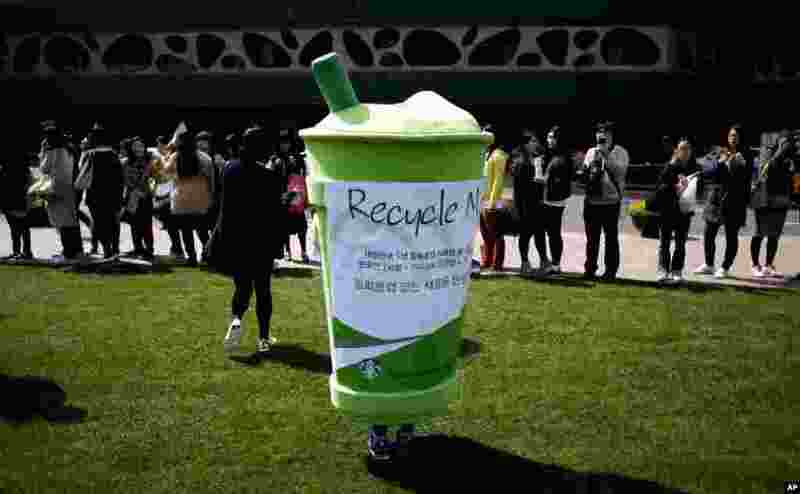 3 A volunteer, wearing a disposable cup costume, participates in an environmental campaign as part of Earth Day celebrations in front of Seoul City Hall in Seoul, South Korea, April 22, 2013. 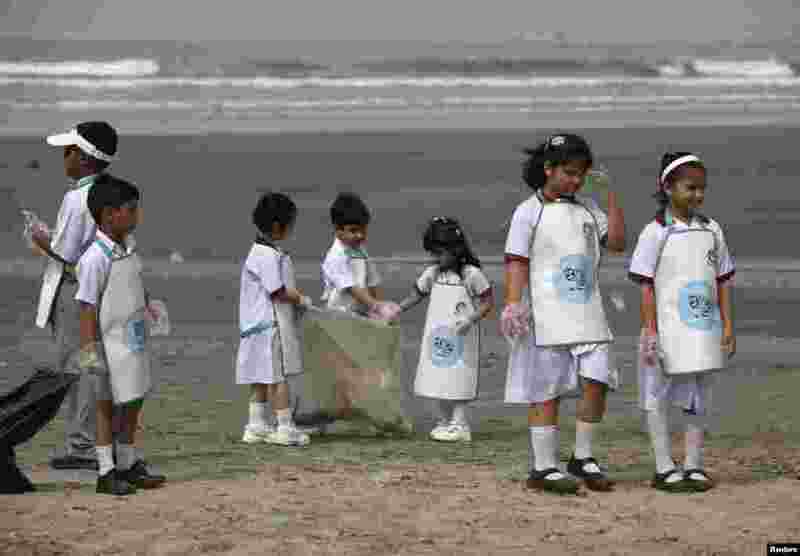 4 School children collect rubbish from Karachi's Clifton beach early morning April 22, 2013, during a cleaning campaign as part of the commemoration of Earth Day. 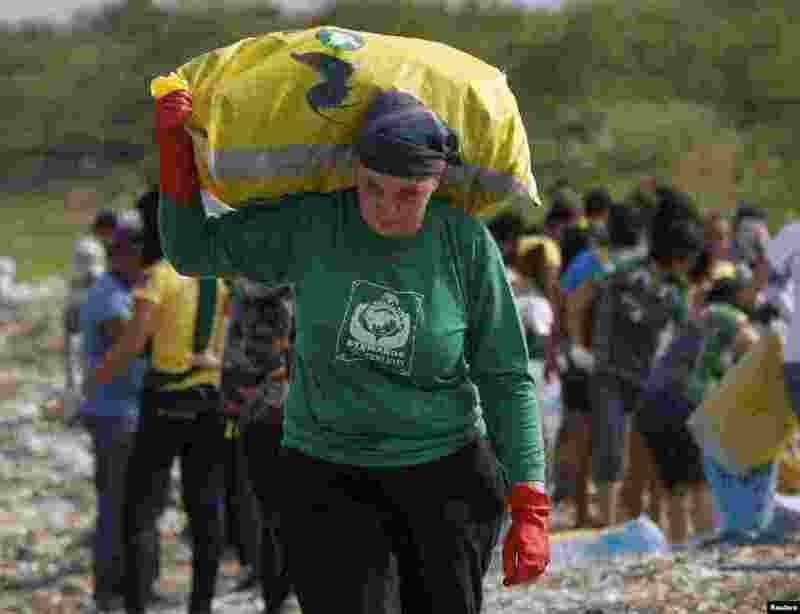 5 Rebecca Lawson of Pennsylvania, U.S, and a missionary from Stewards of Creation, carries a sack of trash after she joins students, environmental activists and volunteers collecting trash in an effort to clean up the coast of Manila, Philippines. 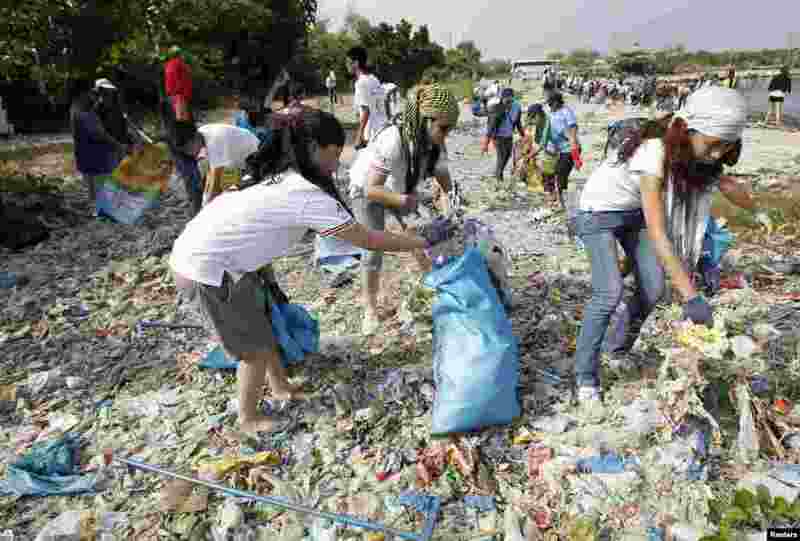 6 Students, environmental activists and volunteers collect trash in an effort to clean up the coast of the Philippines, home to a mangrove forest and a bird sanctuary, as part of the advanced commemoration of Earth Day.